I love Linux Mint. I have been using it for years because of how stable and simple it is to use. Even my wife (who has no idea how to use a computer) uses Linux Mint because of how easy it is. When Linux Mint 10 was released, I hesitated a bit, but went ahead and upgraded anyway. It got fixed over time and started working pretty well with only a few glitches and bugs. But then 11 was released and it was riddled with bugs and issues. After seeing the flames in the forums, I decided not to upgrade until it was made stable. Eventually it was, but I still had some issues getting the simple things working, which worked marvelously in previous releases. I think the disaster that was 12 speaks for itself. And now 13, which is a bit more stable than 12, but still doesn't do the simple things I used to do in the previous releases. MATE has been trying it's best to compensate, but it just isn't working as well as it should. I know there are decisions made at the Ubuntu level that affect Linux Mint, so maybe it's their fault and Linux Mint is getting a bad deal. I am not sure who to blame, and I don't care about placing it. It really breaks my heart to see something that used to be praised for stability and customization go to the opposite extreme. Even Linus Torvalds himself complains (see G+) about this new wave of poor decisions. I just want to see this grand prize operating system returned to its former glory. I am with you on this one, stability does seem to be an issue. The simpler tasks that should have no problems at all are being affected. I believe this is an inherited problem from ubuntu, I have tested the 12.04 and after encountering bug after bug was really not impressed! I knew beforehand that Linux Mint was based off of ubuntu (for its sins:P) but thought that as it is based off it maybe in the development maybe a bug or two had been fixed. Where alot of disto's seem to go wrong is to base it off of ubuntu, they bring out a new release and thankfully we get a new Mint also but the problem is that our release is based off something that hasnt had all the bugs fixed yet so we inherit their problems. Admittedly we could go for the more stable base and choose Debian, but why should we have to as an end user? If ubuntu released to other teams earlier than to the general public then maybe the development team would have move time to work out fixes? I take my hat off to the dev team for their amazing work and speedy releases, but I for one would much rather wait that little bit longer for a release and see alot less bugs. Hardware bugs is something you cannot account for, which from reading the posts on here is where most of these problems lie. As a relatively new Linux user, I cut my teeth on Ubuntu and then Mint 12. Mint 12 allowed me to experiment with all sorts of desktops. Mint 13 with Mate has been extremely stable for me so far. It seems that alot of people having problems are related to cinnamon? maybe it is connamon that is causing so many problems? I personally dont like MATE as I wasnt a fan of gnome2 but I cant deny that it seems to be the more stable version. I unfortunately started out with ubuntu which was good! But now i wont even blink at it! A lot of these things are out of Mint's hands. with Gnome 3 came a new DE with a new shell, both Ubuntu and Mint weren't happy with it and have created their own shells (or Ubuntu promoted their netbook desktop to the big league), these are of course at this point in time not as stable and fine-tuned as Gnome 2's gnome-panel. We're in a transition period and unless you brave it out on an old Gnome 2 release, you're gonna have to suffer through quirks and glitches and failed experiments until things settle. Personally I find this a very exciting time to be a Gnome user, we now have 4 different "major" shells/DEs for Gnome (Unity, Cinnamon, Gnome -Shell, MATE) and Cinnamon and Gnome Shell have brought a level of user interaction and web integration into the desktop experience that just wasn't there before (of course that won't mean anything to you if you don't look for those things ) I don't see a place for both MATE and Cinnamon in the long run, and if the SolusOS crew have success with maintaining Gnome Classic after Gnome has left it behind, then there will be three different desktops basically aimed the same audience (Gnome 3 users who want their Gnome 3 to behave like Gnome 2). I think the problem you are having is that you consider Linux ( generically ) a product. Windows and OSX are products. All of it's components are managed by one source with complete control over what is released and when. There are bugs to be sure but these are prioritized, resolved ( hopefully ), and released after integration tests are done to make sure they don't break anything else ( again, if everything is done right ). That is not the description of Linux - outside of the kernel. Gnome, cups, samba, etc .. are all independent projects that have their own plans, visions, and schedules. They release their projects and those projects are implemented in the different distros without the kind of integration testing that's done in the real world of product development. What you get when you install anyone's Linux distro is a snapshot of where all of these independent projects are in their development cycle. Sometimes this works and sometimes it doesn't. It may be a transition period, but that shouldn't last for over a year. It is absurd to try and drag your customer base through a release like Linux Mint 12 and expect the same loyalty once the dust settles. There's got to be a better way to do it than experimenting on your target users by subjecting them to half finished projects and abandoning the stable releases. This is how it feels to me, someone who just wants a functional and stable desktop environment that I don't have to re-install every 6 months because the old version isn't supported and the newest one is full of problems and has less functionality than the previous versions. Maybe that argument is best directed at the developers of Gnome, but if a car company takes a known faulty engine and crams it in their latest car, they hold part of the blame when something goes wrong too. You call this an exciting time for gnome users, but there has not been less functionality in gnome since initial releases. In order to get simple things customized, you have to modify system files, install third party plugins/apps, or abandon the desktop environment altogether. This is not how a desktop based OS targeting common internet users should behave. The die hard Linux Mint fans can follow blindly into this mess and rebuttal my arguments all they want, but it's because I care that I voice the complaints above. **EDIT: I call us a customer base because without us, there would be no Linux Mint. It's because of our support that this project, as well as Gnome, Ubuntu, etc are able to be funded and developed. Unix will live on even if all the desktop based distributions were gone today. I've got a Unix OS on my microwave oven that controls most of its functionality, and I bought it that way. The desktop environment is a tremendously small portion of what Unix actually contributes to. But that doesn't make our loyalty and support less important. The number of Linux users has been in a steady decline for a year. The "pointless in any direction" attitude does not help to move it in a positive direction. So I am going to do what most users probably did, and just give up, and accept the garbage? Or maybe I should will switch to a more stable operating system like Windows 7? (never thought I would hear that said in comparison to a Linux OS) Bottom line is: if people don't start caring, things will not change for the better. An entire year is not acceptable in terms of moving towards stability. Yet instead of being called into question, they are praised? This does not compute. steveking wrote: Admittedly we could go for the more stable base and choose Debian, but why should we have to as an end user? The good thing is, we have that choice. I have Debian Stable running here alongside the other distros I run. Like altair4 kinda said, we're talking about a project, not a product. If you want to stick with one distro and/or one desktop environment, you have to accept that there are gonna be ups and downs, like it or not. Seems to me that this is how things have always been with Linux; nothing is ever perfect. How would brand new shells and DEs become stable in one year? Windows has used decades to get where Windows 7 is, and it's not rock solid. Gnome 2 was nearly ten years old when it was discontinued. It's just bad timing, and if you still like complaining, it's important to do it the right place - Mint has no "very stable Gnome desktop" choice at the moment, and there is nothing Mint can do about it except help MATE and Cinnamon reach that goal, and a lot of man hours are going into exactly that. Thanks for the reply MALsPa. I have not tried the Debian version yet, but I will try that tonight. It seems everyone is quick to make excuses in defense of something that is broken, so thank you for the constructive reply. We all pay for Mint, you just don't see it coming directly from your pocket unless you donate it. Take a thousand foot view of the operation and you will see it. Fergsauce wrote: I have not tried the Debian version yet, but I will try that tonight. I can't speak about Linux Mint Debian Edition; I've never even tried it because I didn't really want something based on Debian Testing. I was talking about straight Debian Stable. 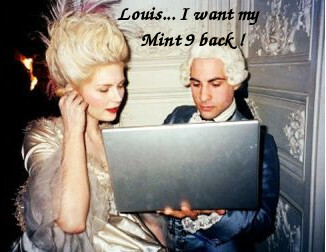 Fergsauce wrote: We all pay for Mint, you just don't see it coming directly from your pocket unless you donate it. Take a thousand foot view of the operation and you will see it. I don't agree that we all pay for Mint, but I guess I'm too near-sighted to be able to see that. Fergsauce wrote: Thanks for the reply MALsPa. I have not tried the Debian version yet, but I will try that tonight. It seems everyone is quick to make excuses in defense of something that is broken, so thank you for the constructive reply. So if folks adopt your point of view they are correct but if they form their own opinion they are wrong? Fergsauce, it is easy to complain, but when it comes to opensource, is it not a better way to roll up our sleeves and contribute constructively? Linux has come a long way towards user friendliness and stability over the last few years, mainly through Ubunutu and Mint distro efforts, and contributors should be praised. I have over the years worked on peoples PC's, and found that Windows causes far more problems for users (activations, bad default configs, slow machine, poor security, viruses, etc) than a linux system ever would, once setup and configured appropriately. I have non-technical friends running Linux Mint, which once setup and configured well, they enjoy easy, fast, secure and stable usage everyday - they love it! Mint 13 Cinnamon is the best yet, in my opinion. We all acknowledge the problems of competing desktop environments, but usability and stability I think is surpassing Windows at high speed. To all Linux Mint contributors, I say thankyou! If you really want stability you need Debian Stable. But the trade off is that you will have older apps. Mepis and SolusOS help mitigate that by porting newer applications into their releases. Ubuntu/Mint brings newer everything, but that can bring the new bugs and problems as well. It's a trade off. One way to combat it is to multi-boot, put Debian Stable on for stability, and newer Linus distro/s on for newer apps. If the newer Linux distro is giving you grief, boot into the Stable distro. Stability for me still equals LM 9 as a base with newer versions of particular applications I use installed manually on that for my older systems. It isn't difficult to end up with the best of both worlds. I have LibreOffice 3.5.4 running perfectly on LXDE 9, Thunderbird 13, Firefox 13, the latest build of Transmission, Adobe and Java plugins, Chromium as well. If you get stuck google and this forum are your best friends. LM 13 MATE has run perfectly on my newer systems. The one I have the need for AMD Catalyst drivers on (Radeon HD2400 Mobility) I got up and running with x64 12.4 drivers from AMD without issues. Asking for full long-term stability, for an operating system like Mint, is like wanting to have one's cake and eat it too. Operating systems evolve, change, because hardware change and the OS must adapt to that, and there's no way it can keep the compatibility with every single hardware configuration that ever existed while adding the newer. E.g. in my Lenovo B570 Mint 12 + MGSE had a couple of problems (overheating and bad wifi), but Mint 13 + Cinnamon works like a charm, absolutely perfect, not a single glitch. On the other hand, I cannot expect Mint 14, Mint 15 or 16 to do the same... I ALREADY KNOW it won't be the same, and that's ok to me. As a Linux user I know that I have to do my part in order to erradicate the future bugs (to regain that mythical "stability") helping the developers as much as I can: reporting the bugs, getting involved in the development of the fixes, trying the proposed solutions, etc. The only way I know to keep the complete-absolute-long-term "stability" of a system whithout having (as a user) to do your own homework, is never update/upgrade your working OS and never change your working hardware (ever!)... or pay somebody to do the fixing for you. Then someone is doing you over, outside donations I haven't paid a dime for Mint. The "this is UNACCEPTABLE!" attitude is sort of inappropriate against something offered to you for free. We all have small issues, we all think this and that could be better, but you're missing both who's responsible for what (a distro like Mint is 95% upstream, Ubuntu patches and software, Debian meat and potatoes, Gnome DE, Linux Kernel, application developers - all out of Mint's hands save a bit of superficial patching) and how much you can demand from something you don't pay for.